Introducing, Super Sadie! Protecting the neighborhood from squirrels, groundhogs, and package delivery men, all from the safety of the front porch! 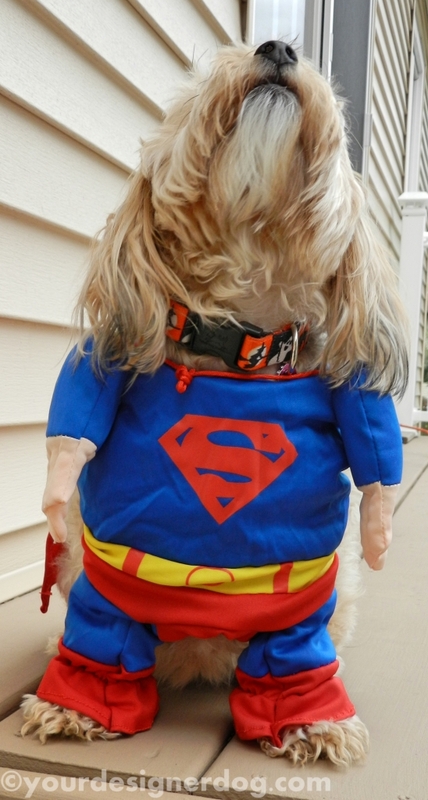 Sadie is trying on this superhero Halloween costume today in honor of the new TV show Supergirl, which is premièring tonight. It looks like a fun show and the world definitely needs more female superheroes, so we’re excited. 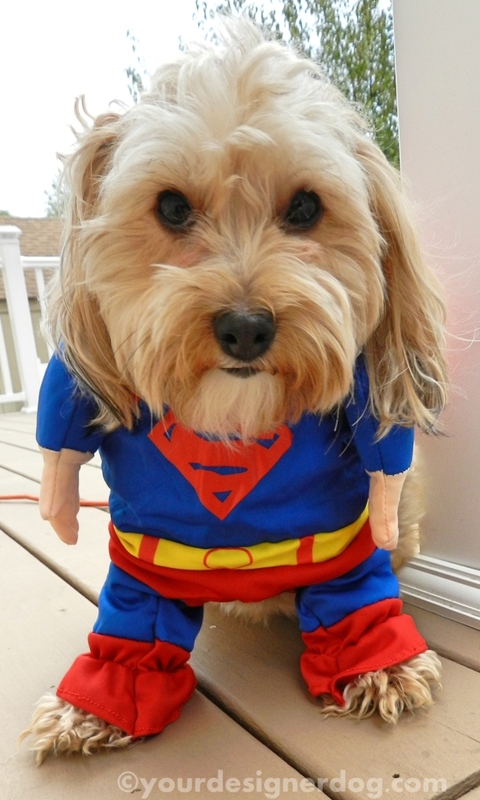 If SuperGirl needs a sidekick, I know one little Yorkipoo up for the job! 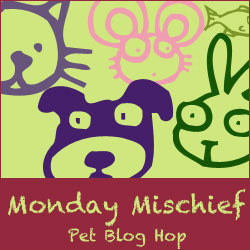 This post is part of the Monday Mischief Pet Blog hop hosted by Snoopy’s Dog Blog, Alfie’s Blog, and My Brown Newfies. BOL! What a funny costume! too stinkin’ cute!!! I feel much safer with you on the job! Caren Gittleman recently posted…DREAM BIG! A NEW #PeanutsMovie for a NEW Generation of Peanuts Lovers!! Someone has to keep those critters in line. You are just the superhero to do it. Talent Hounds recently posted…Adopt A Shelter Dog -Save A Life! Sadie you really are a Superhero! 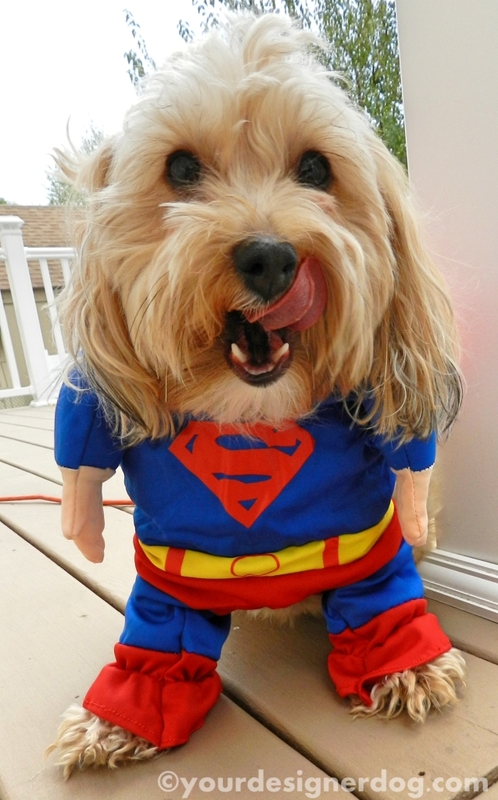 Certainly the most adorable Superhero we’ve ever seen. 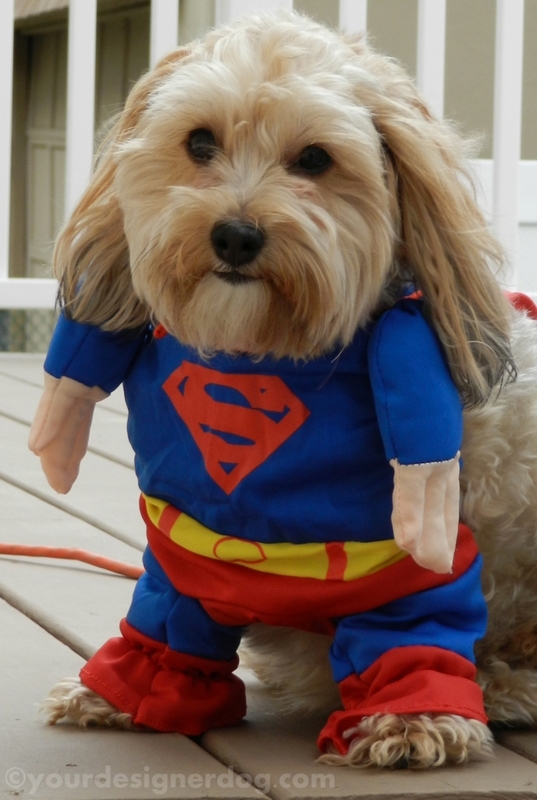 Dolly the Doxie recently posted…Doggone Halloween Fun!